On Monday, the stock of Metropolis Healthcare, a diagnostics company, settled nine per cent higher compared to the issue price on its stock market debut. Shares of Metropolis Healthcare, which listed on Monday, climbed as much as 4.76 per cent in the opening deals on Tuesday after Bright Star Investments bought a total of 7,00,000 shares at Rs 948.39 apiece on Monday, NSE bulk deal data showed. In addition, Smaller Cap World Fund also bought a total of 6,86,545 shares at Rs 957.67 apiece. At 09:51 am, the stock was trading at Rs 983 apiece on BSE, up Rs 23 or 2.44 per cent. In comparison, the S&P BSE Sensex was trading at 39,201, up 295 points or 0.76 per cent. The stock ended at Rs 955 compared to the issue price of Rs 880 per share on the NSE. The scrip touched a high of Rs 982.7 and a low of Rs 935 with nearly Rs 700 crore worth of shares being traded. Metropolis Healthcare’s Rs 1,200 crore initial public offer (IPO), which ran between April 3 and 5, had garnered nearly six times subscription led by demand from institutional investors. The retail and high net worth individual (HNI) portion of the IPO had seen lukewarm response. Analysts had recommended investors subscribe to the IPO with a long-term investment horizon. In a note, Centrum Wealth had said Metropolis offers better returns ratios compared to peers such a Dr Lal Path­labs and Thyro­care Technologies. 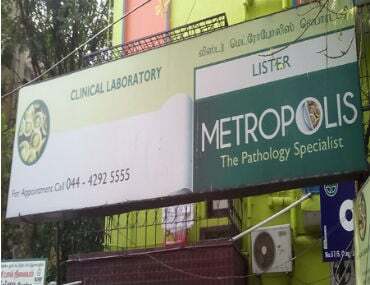 “Metropolis has better returns ratio with return on net worth at 24.7 per cent for FY18 compared to 21.6 per cent for Dr Lal Pathlabs and 20.4 per cent for Thyrocare Technologies,” it said in the note.